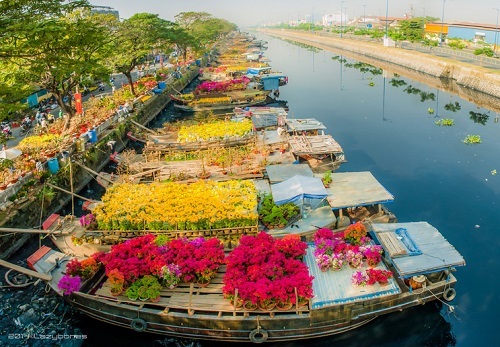 Saigon Flower Market before sunset – photo by German landscape photographer Frank Fischbach. 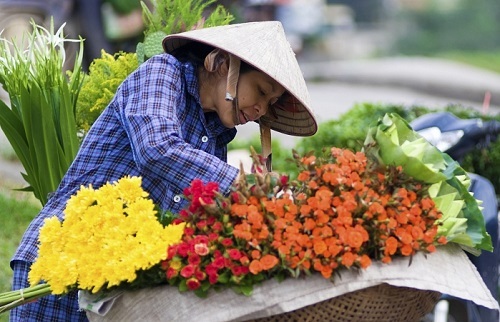 These beautiful flowers will be sold for the Vietnamese New Year festival Tet. 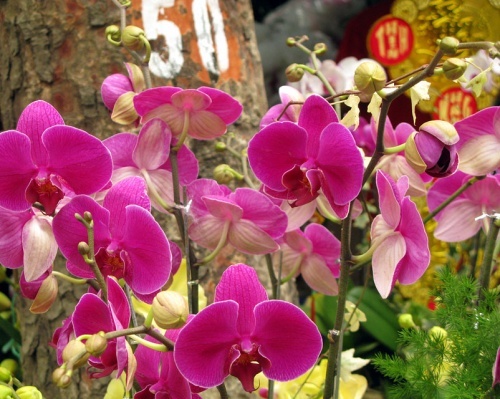 No matter what festival or a season – cool spring, hot summer, rainy autumn, or the cold winter … Saigon flower market is always crowded with buyers and sellers. When night falls it’s busy time for trucks to carry hundreds of tons of fresh flowers from France, Japan, China … to the night flower market. 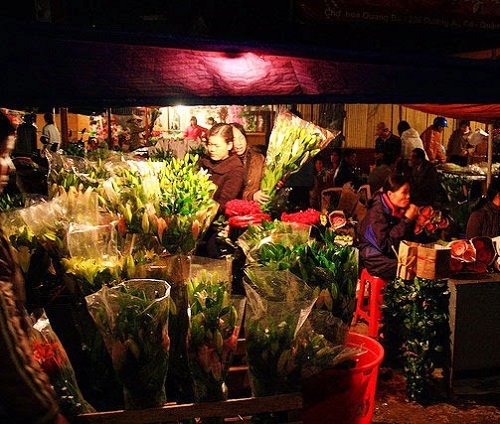 The people working in the night market have lost the concept of night sleeping, they work quietly at night to please the early risers with the most fresh flowers – narcissus, roses, chrysanthemums, tulips, daisies, orchids … They say Saigon has neither day nor night, just 24 hour break. 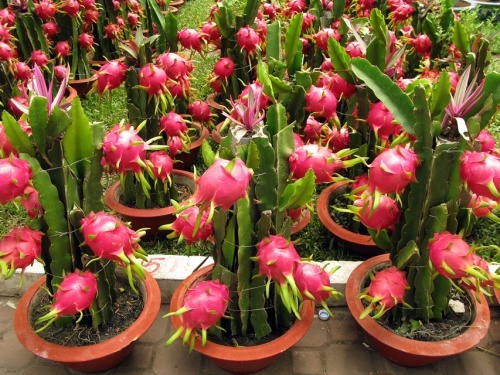 This is true when we explore the night flower market in Saigon, Vietnam. 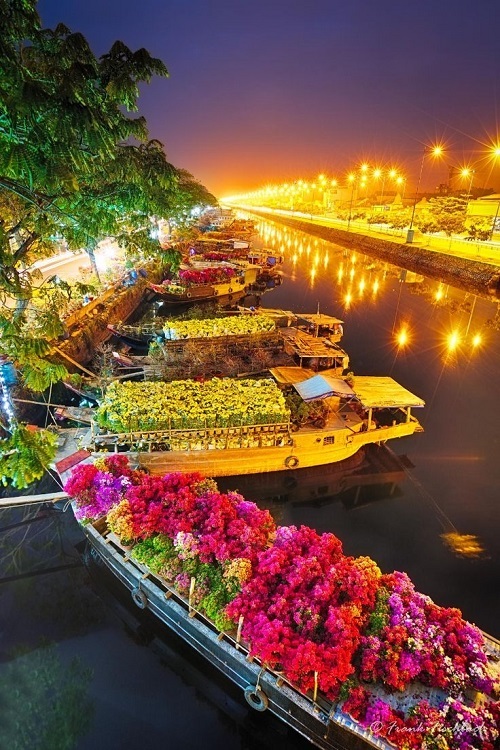 Hundreds of lights illuminate neatly arranged flowers in the most attractive way. Each flower has its own meaning, its own magic. 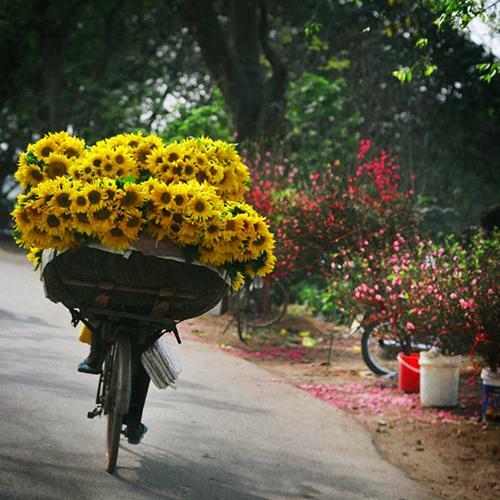 Visitors and tourists willing to buy a few flowers, or just exploring the beautiful site, all will get positive romantic impressions of it. 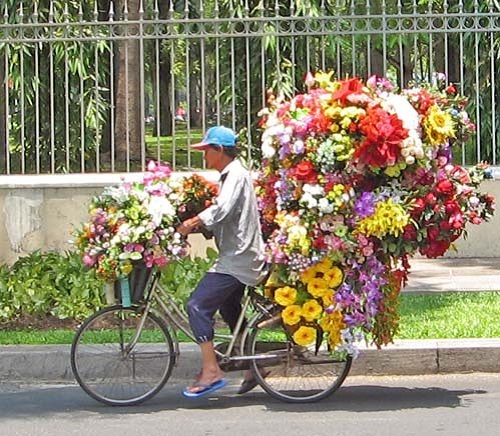 Flowers are always fresh, always sold at low prices. 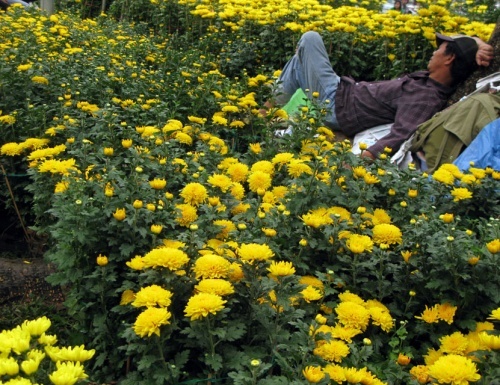 Chrysanthemums and roses are sold at most. 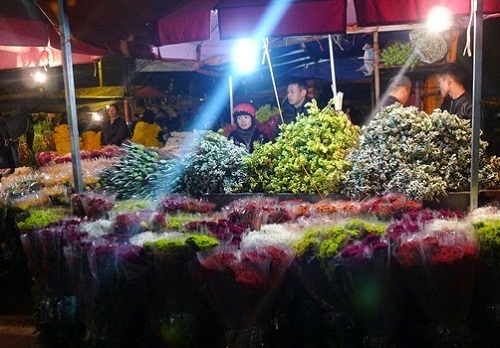 The night market turns into a more crowded place – it’s 12 o’clock, doors began to open up, flowers move from the baskets and boxes to the hands of buyers. 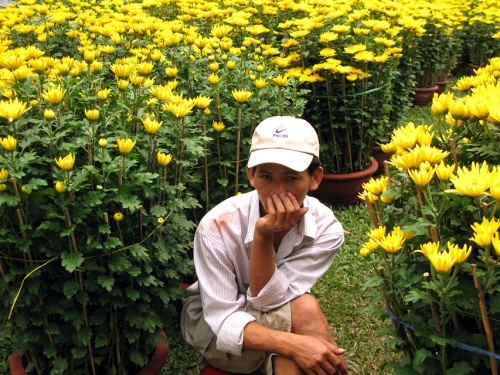 Saigon flower market was born to meet the needs of the people. 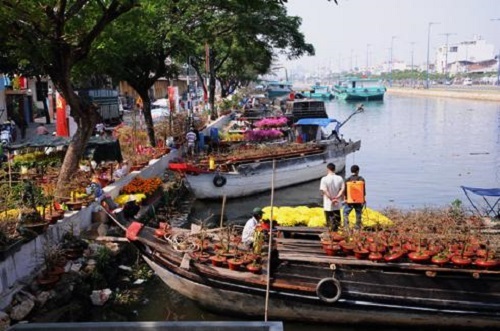 There are three main flower wholesale markets in Saigon: Ho Thi Ky, Dam Sen, Hau Giang. 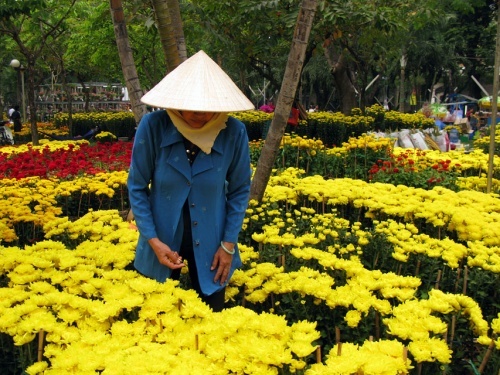 Flower market now is a cultural diversity characteristic of Vietnam. 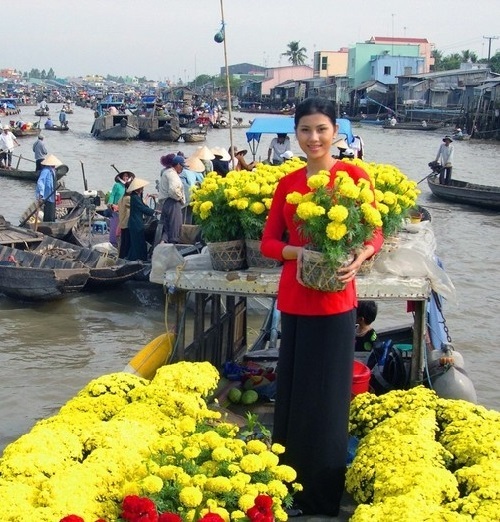 VietNamNet Bridge – Flowers are transported by boat from the southwestern provinces to the Binh Dong wharf, Saigon River to serve Saigonees this Tet. 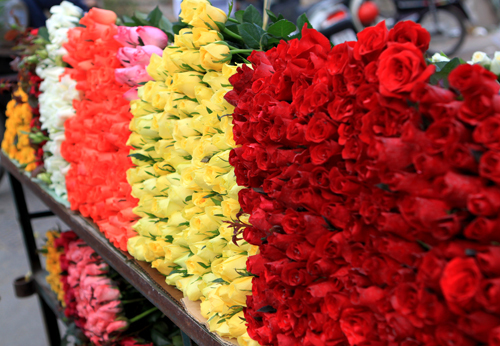 The prices for flowers here are cheaper than other flower markets in the city.